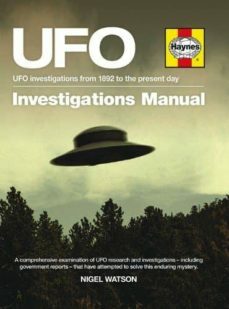 UFO's have been a global phenomenon from the late 19th century to the present day, and this Haynes manual will examine many UFO investigations worldwide by looking at the government reports - both official and secret - that have attempted to explain the 'otherworldly'. This manual will also explain how you can identify a UFO yourself and how to classify an alien encounter - was it of the first, second, third, fourth or fifth kind? The findings of scientific research will also be explored, as will the human attempts at alien communication, and, finally, alternative explanations of uncanny happenings.